Last year we started growing Jimmy Nardello Italian frying peppers. They are long, red, and thin skinned, and have no heat so they are sweet and delicious. You can eat them raw, pan fried or grilled. For the photo below I pan fried them in a cast iron skillet with nice results. They don’t take long to cook so they are a great, easy side dish. They may be my new favorite peppers to grow and eat! Slice peppers lengthwise to split them in half. Remove the seeds. In a heavy frying pan heat olive oil on medium heat. Place peppers in the pan and season with salt and pepper. Cover and let cook 3-5 minutes until peppers have some blackened patches. Turn over, cover, and cook about 3 more minutes until peppers are fork tender. 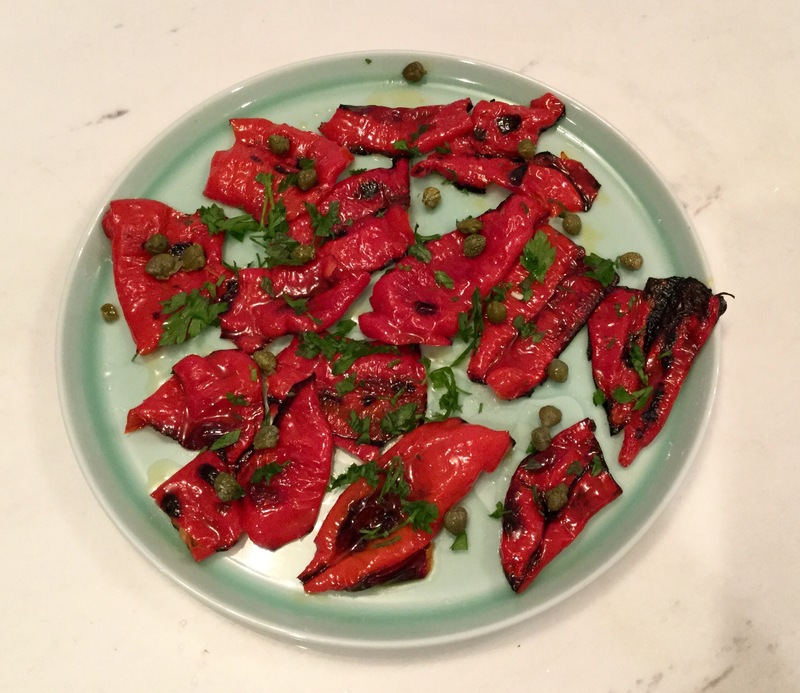 Remove peppers to a serving dish. Check to see if you need to add more salt. Top with capers and parsley. Serves 2-3 as a side dish.